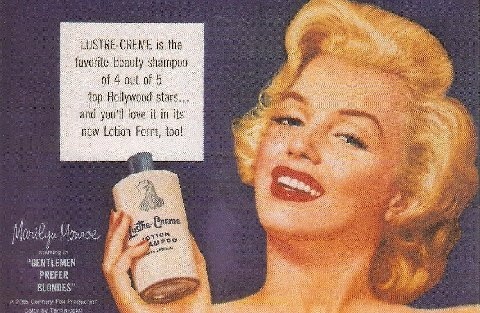 Was "She's a Lustre-Creme girl" a slogan, or am I misremembering? Mom always used Lustre-Creme to wash our hair. I swear every actress from the 50's did print ads for this. I have seen ads featuring Bette Davis, Joanne Woodward, Leslie Caron, Judy Garland, and many others.